Boolean operators are used to combine concepts when searching. The three Boolean operators you will use in searching are AND, OR, and occasionally, NOT. The operator you select will determine if the number of results you retrieve is increased or decreased. In most searches you will use a combination of these operators at various points in your search. 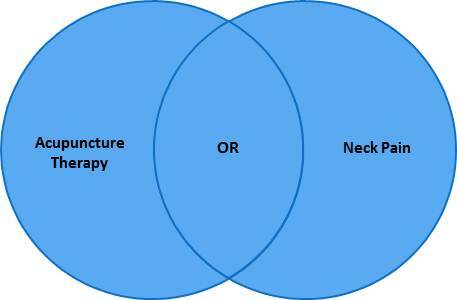 In our example from Step 1, AND is the appropriate Boolean operator to use since we're interested in results that address both acupuncture therapy AND neck pain. The Venn diagram above visually illustrates the result of using the Boolean operator AND; the results we're interested in are represented by the overlap between the two concepts. 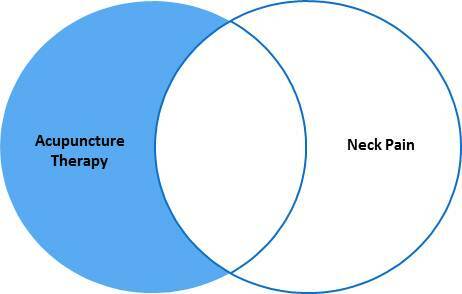 Revisiting our search question outlined in Step 1, if we used the OR operator we would retrieve results that addressed only acupuncture therapy and those that addressed only neck pain as well as results that addressed both concepts. 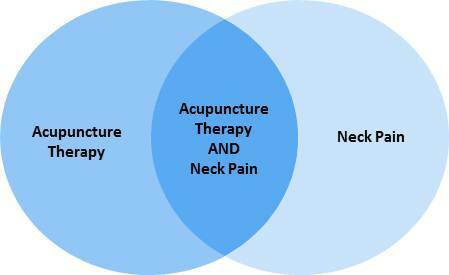 The Venn diagram above illustrates the search statement acupuncture therapy NOT neck pain (results that address neck pain, as well as those that address both acupuncture therapy and neck pain will be lost). 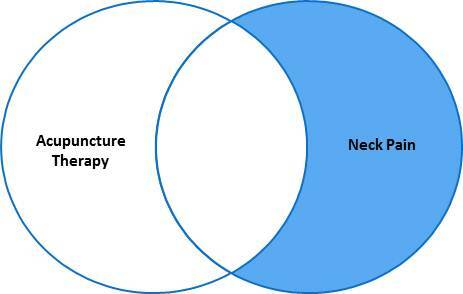 This Venn diagram illustrates the search statement neck pain NOT acupuncture therapy (results addressing acupuncture therapy as well as those that address both neck pain and acupuncture therapy will be lost).